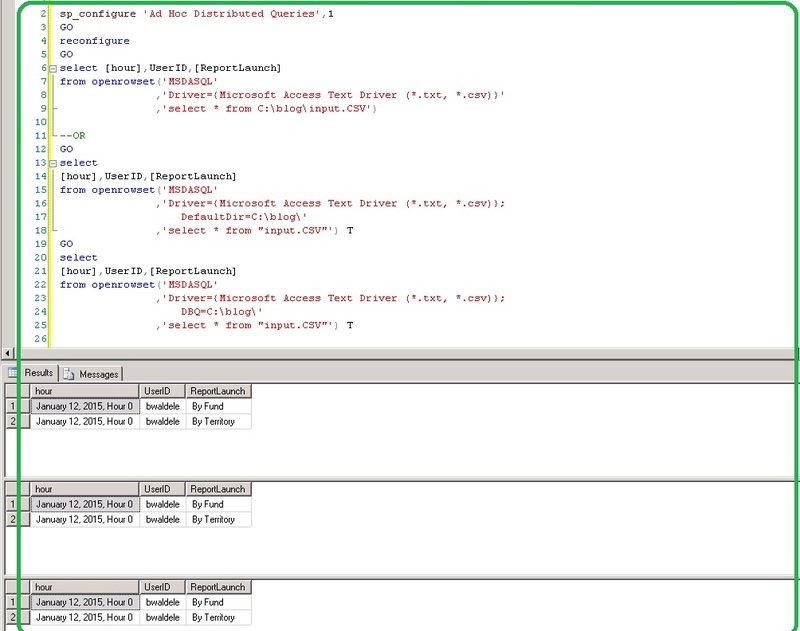 We can directly access a CSV file using T-SQL. This entry was posted in SQL, Uncategorized and tagged AdHoc Distributed Queries, Microsoft ACcess Driver, MSDASQL, OPENROWSET, Read text file using T-SQL, reconfigure, sp_configure. Bookmark the permalink. 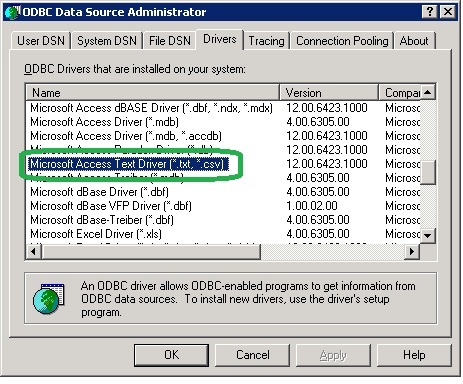 How to add Microsoft access driver if it not there in your machine. Please tell. Thanks for the response. I have tried running the query but I am getting the following error. The OLE DB provider “MSDASQL” for linked server “(null)” reported an error. The provider did not give any information about the error. Cannot initialize the data source object of OLE DB provider “MSDASQL” for linked server “(null)”. I had no MSDASQL but it’s not possible to install MSOffice 64 bit when there’s a 32 bit already on the system.